Posted in: BSU Journal Club. Tagged: astronomy, exoplanets. 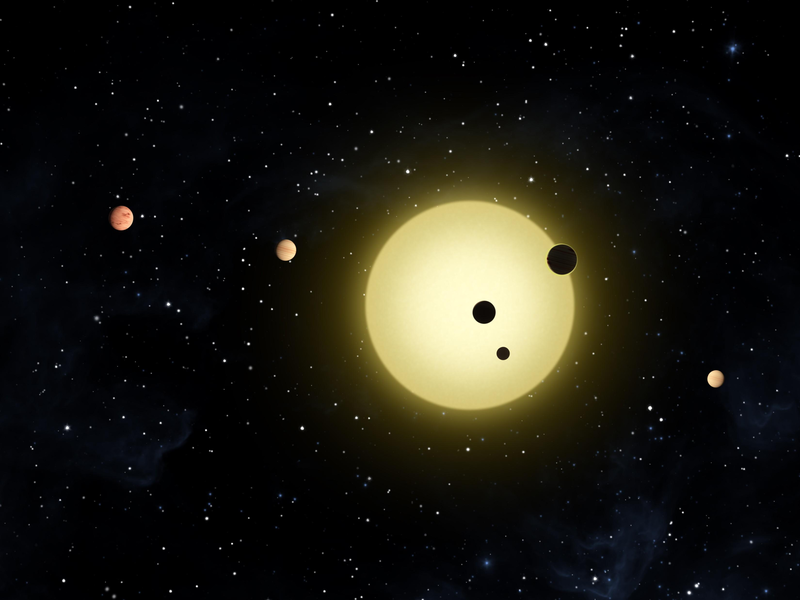 The Kepler-11 planetary system, with at least 6 planets in short period orbits. From https://en.wikipedia.org/wiki/Kepler-11. Following on last week’s journal club where we discussed a paper in which collisions removed planetary atmospheres, this week we looked at a new paper by Aaron Boley and colleagues in which collisions promoted accretion of an atmosphere. Boley and colleagues modeled gravitational interactions in tightly packed planetary systems, like the Kepler-11 system, 6 planets packed into a space smaller than Venus’ orbit. Not surprisingly, when so many planets are packed into such a tight space, bad things can happen, and Boley and colleagues showed that such planets often collide with one another, sticking together to form even larger planets. In some cases, the newly formed planet can be large enough that it can accrete gas from its maternal protoplanetary disk and form a gas giant planet. The standard model for planet formation suggests gas giants shouldn’t form close to their host stars, but Boley and colleagues argue that their collisional scenario could explain the presence of so many hot Jupiters and Neptunes found around Sun-like stars in the last few decades. Their work could help resolve the puzzle of hot Jupiters, an exoplanet mystery older than some of my students.